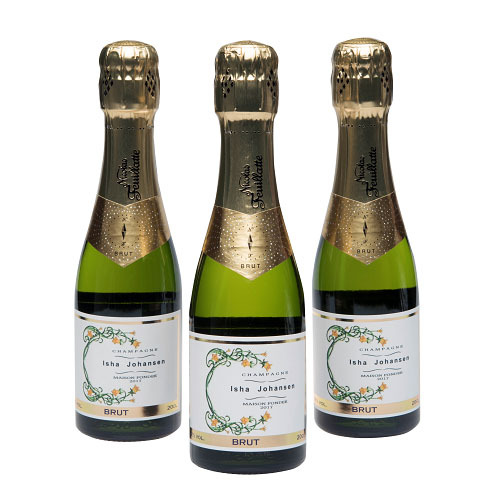 Our miniature personalised Champagne bottles with your own special label are very popular for special occasions. Stunning and all beautifully presented you can choose options such as "flurry" of ribbon or a hand tied bow with straw to make them "party ready"! Our 1/4 Champagne bottles are the perfect personalised gift for a party, birthday, wedding, anniversary, graduation - have fun using our easy to use system. that you would like us to create specially for you please contact our team directly. You can also choose from our range of mini Champagne and Prosecco gifts sets.